Blow a Rainbow: Romwe Year-end Xmas Promo! 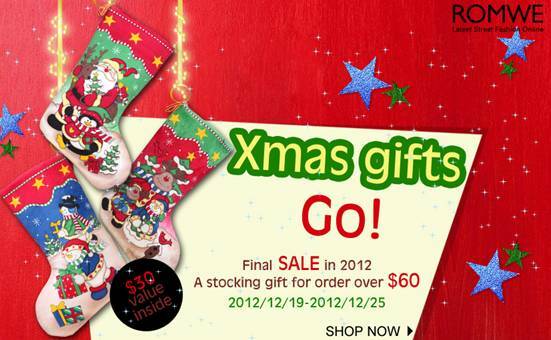 Everyone can get a Santa Claus’ Stocking with Mysterious Gift if your order over $60. Visit romwe.com now!